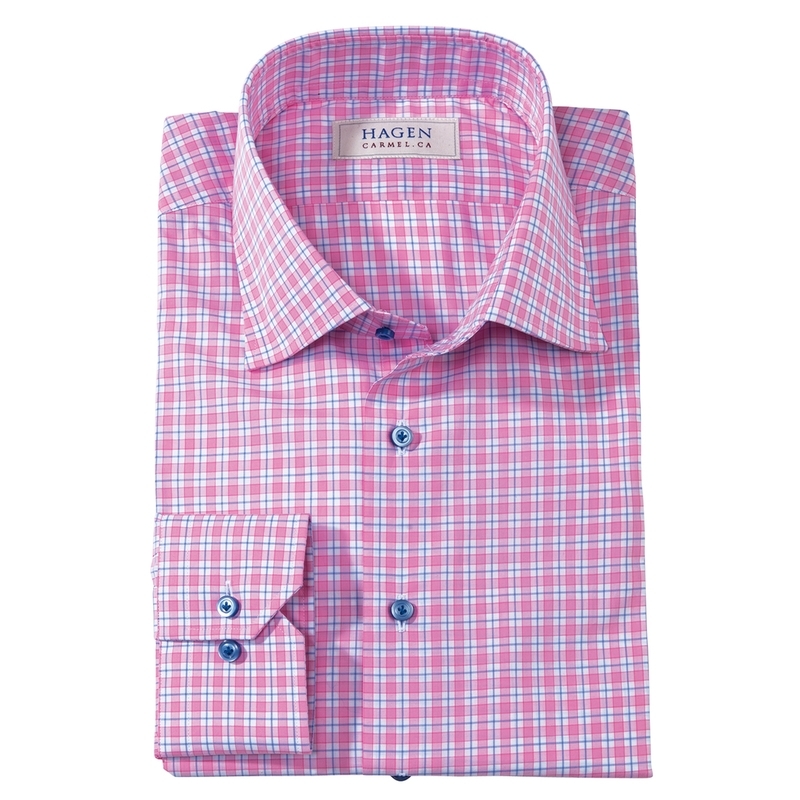 Spring Pink Sport Shirt of 100% cotton, by Hagen of Carmel. Tailored with semi-spread collar, long sleeves, no pocket. Imported.